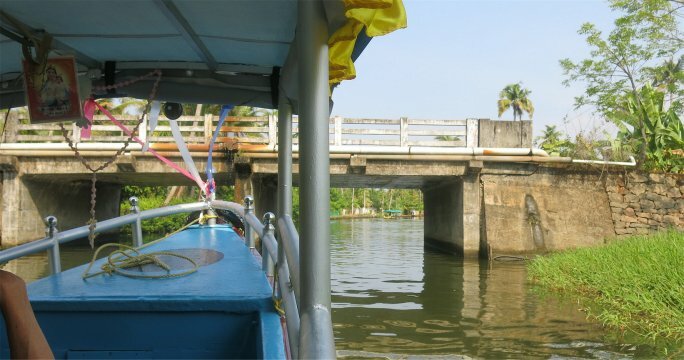 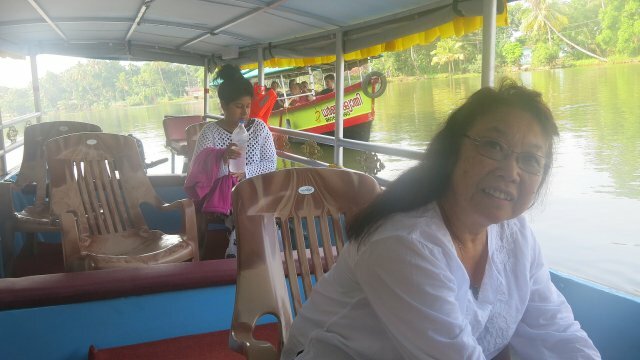 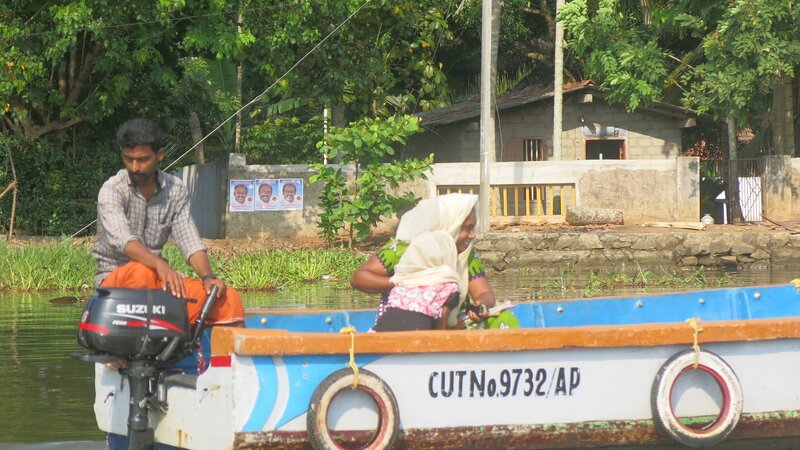 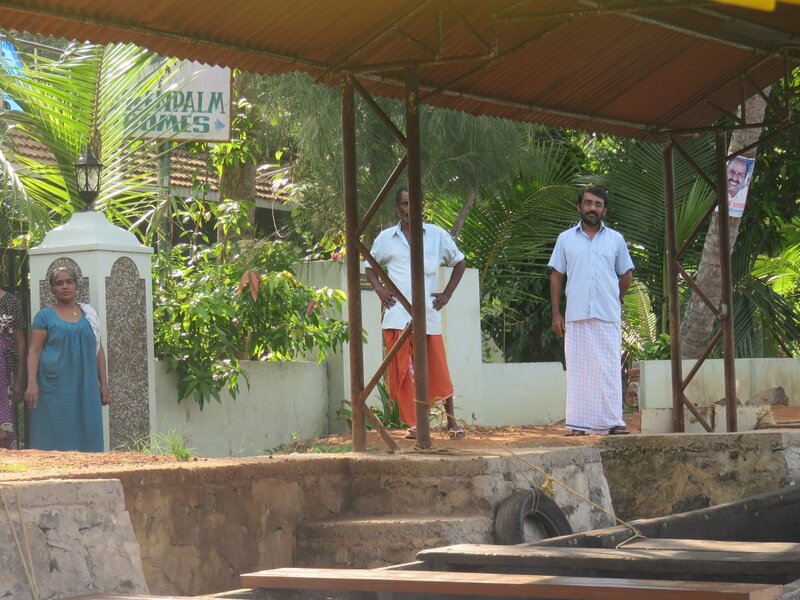 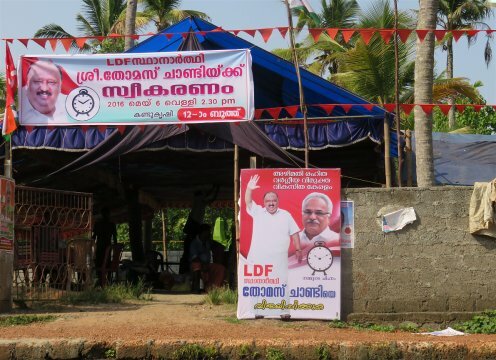 Breakfast was at 8, and we left on two motorized boats for the 1 ½ hour boat ride to a jetty for our bus ride to Kochi. Along the way saw an endless stream of houseboats. 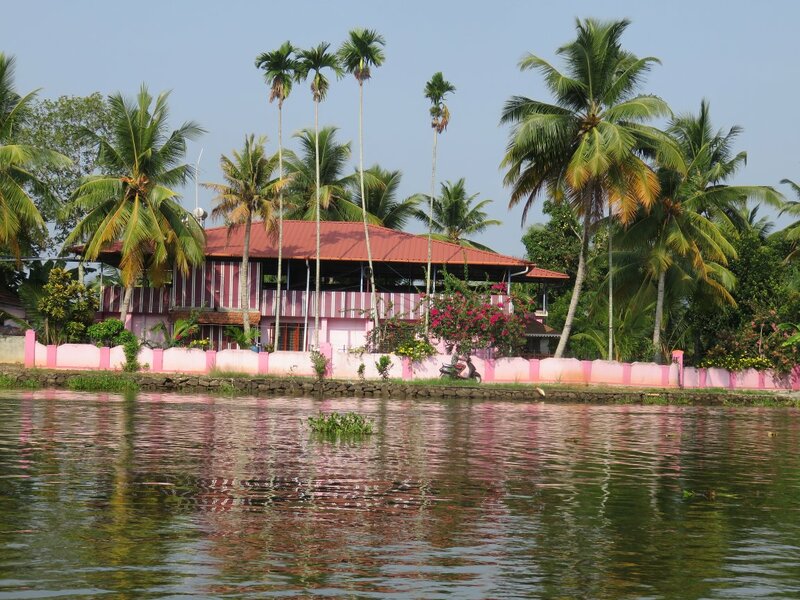 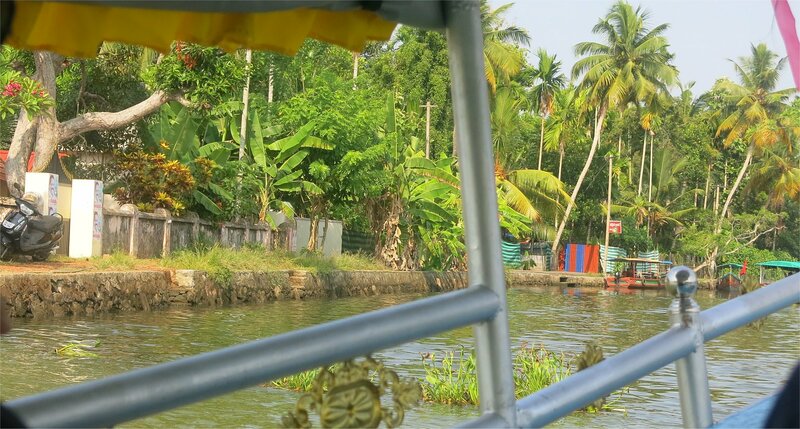 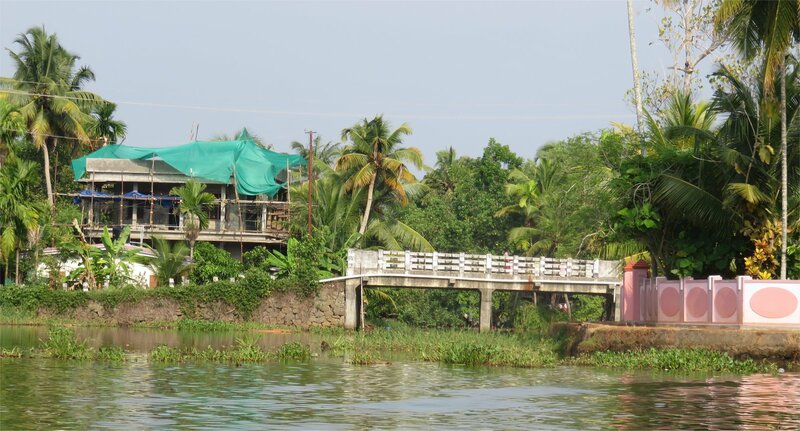 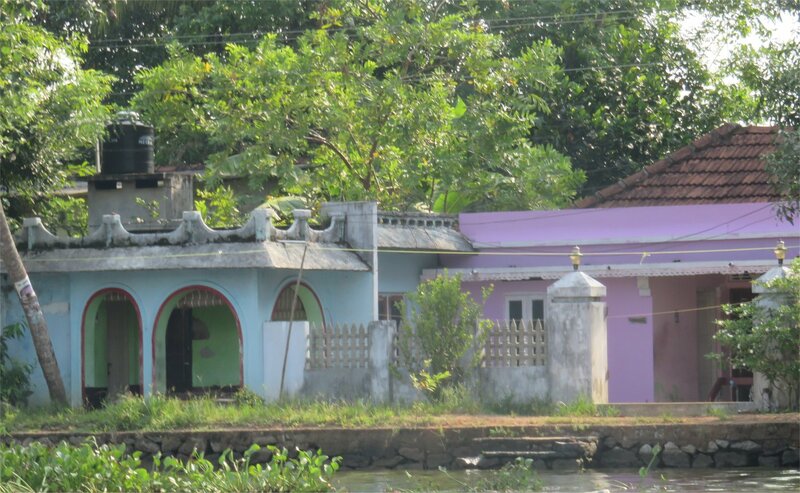 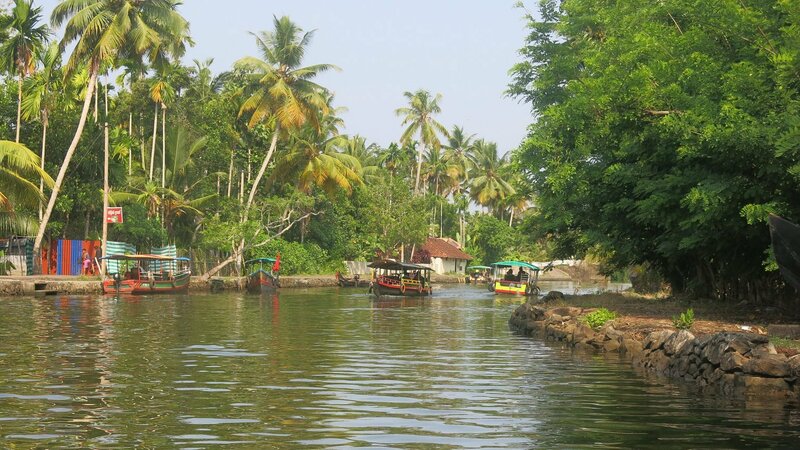 The kettuvallams (Kerala houseboats) in the backwaters are one of the prominent tourist attractions in Kerala. 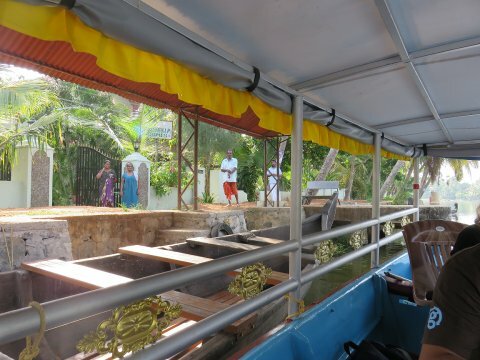 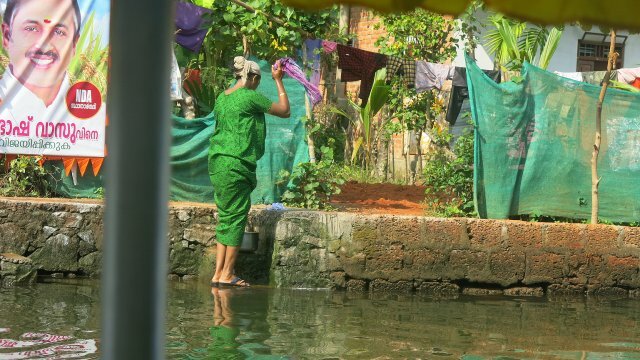 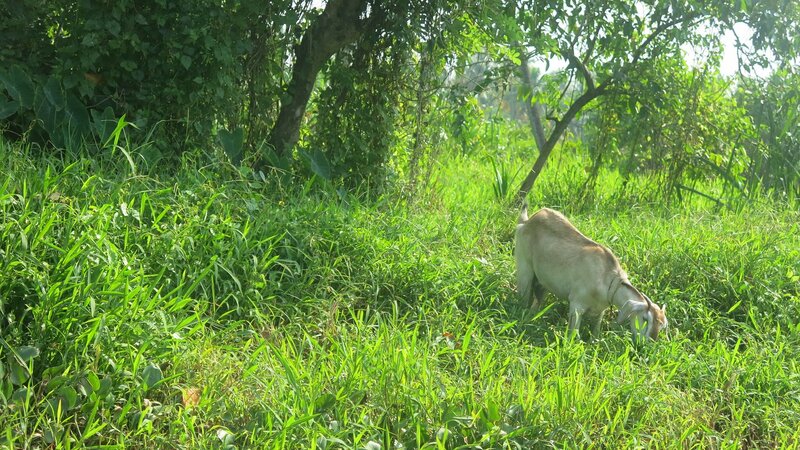 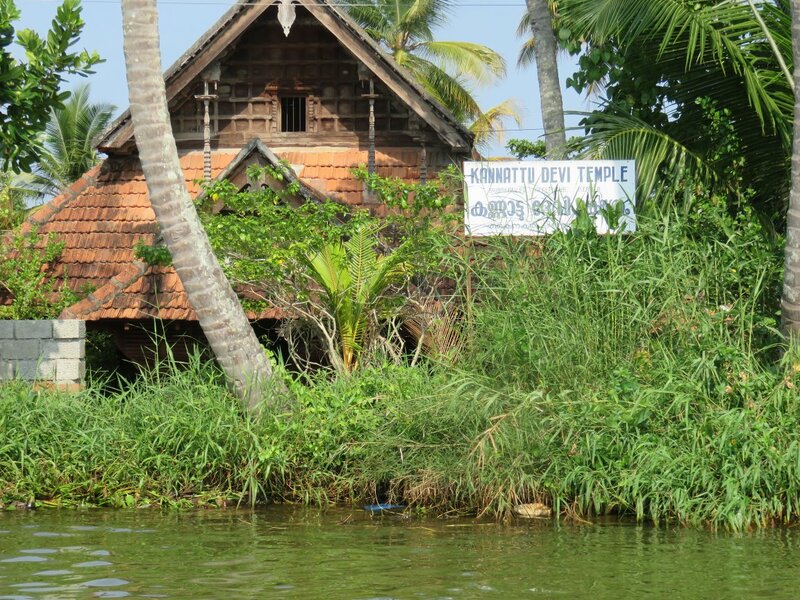 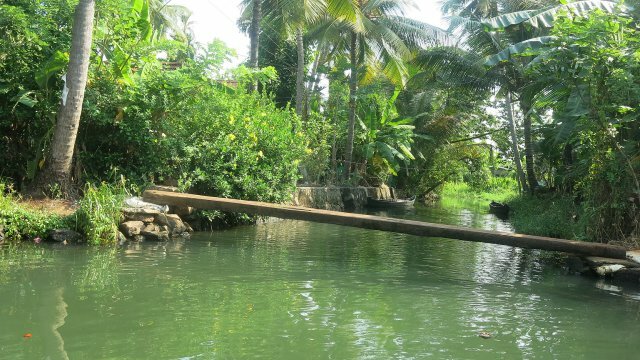 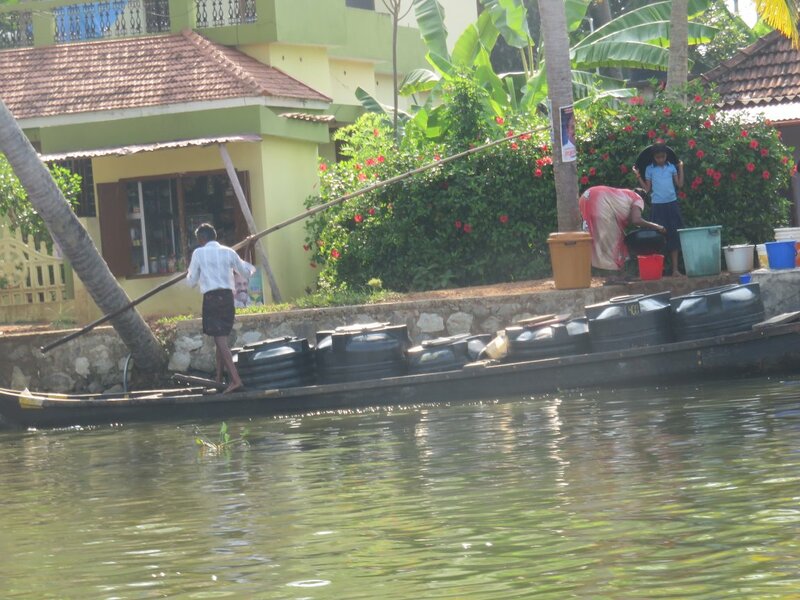 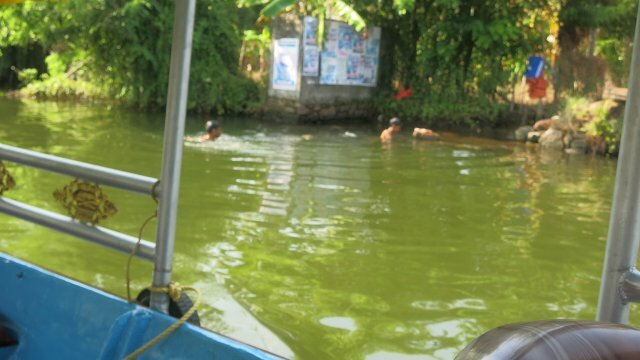 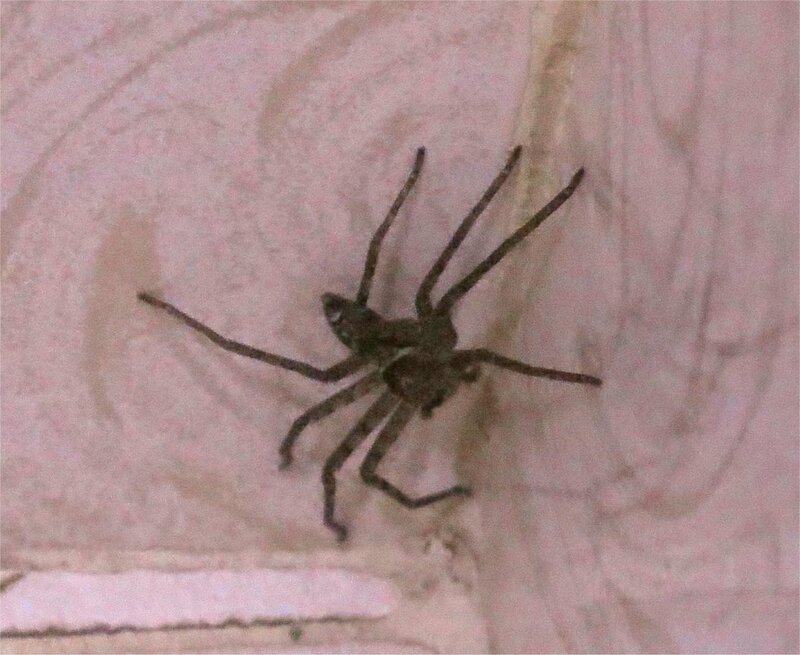 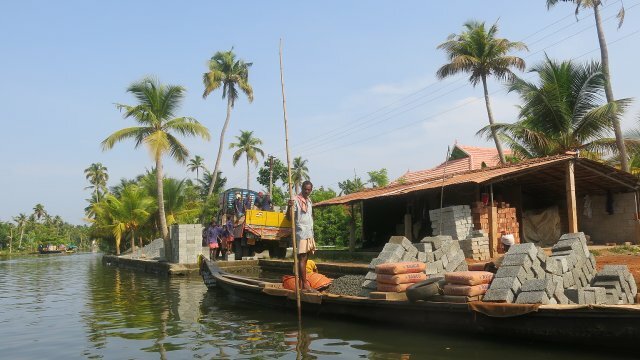 More than 2000 kettuvallams ply the backwaters. 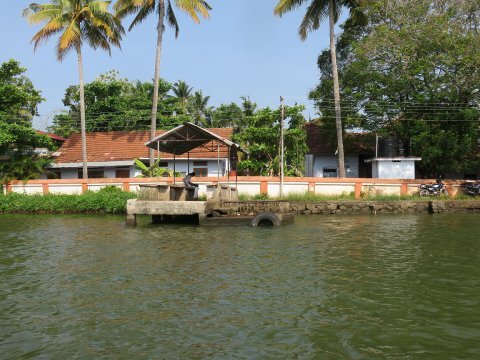 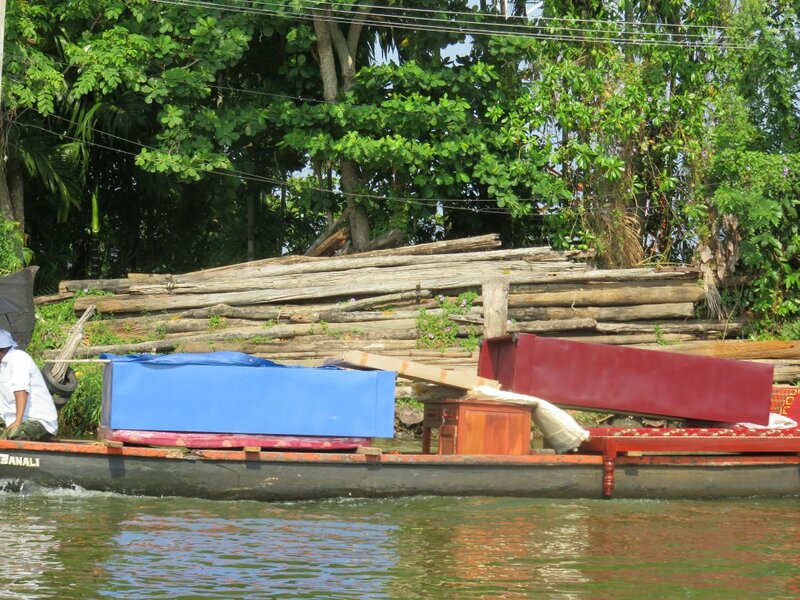 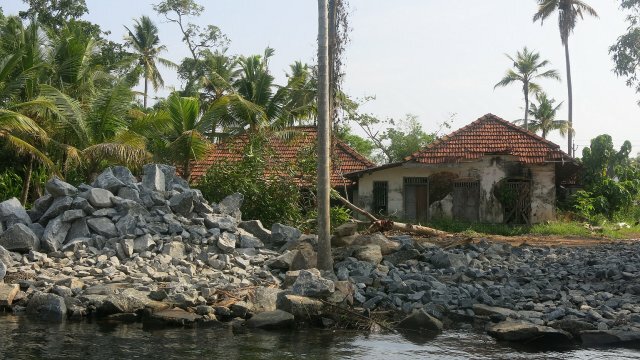 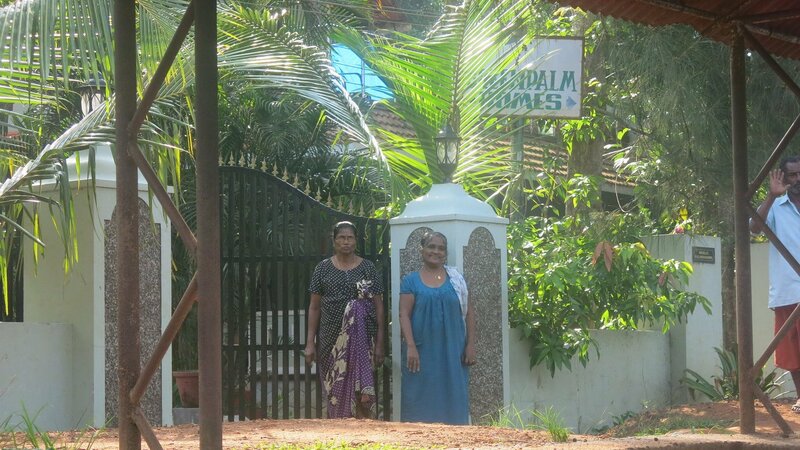 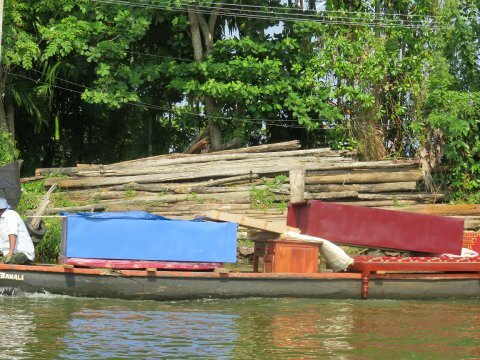 The Kerala government has classified the tourist houseboats as platinum, gold and silver. 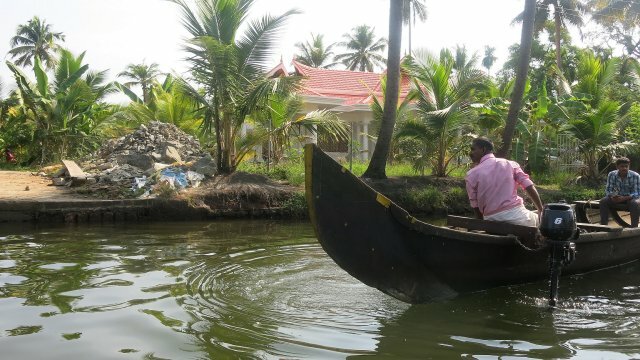 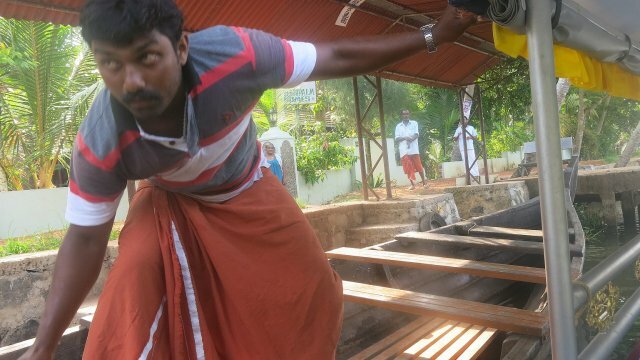 The kettuvallams were traditionally used as grain barges, to transport the rice harvested in the fertile fields alongside the backwaters. 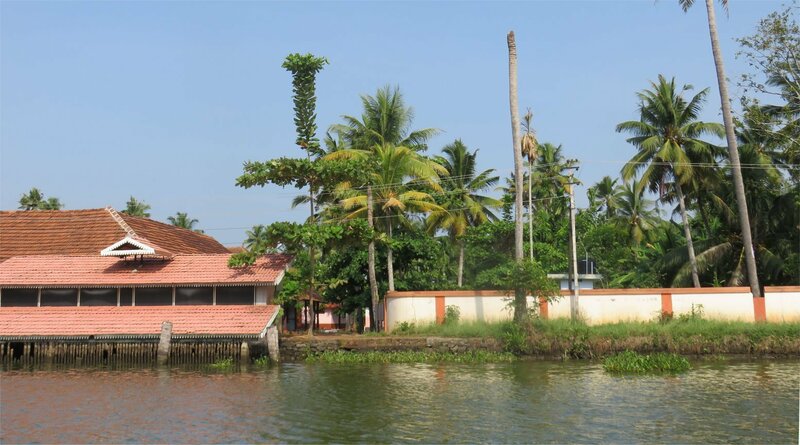 Thatched roof covers over wooden hulls, 100 feet (30 m) in length, provided protection from the elements. 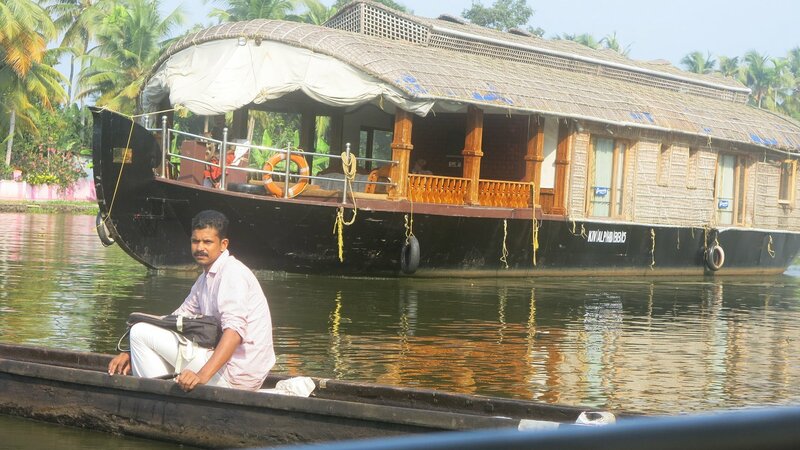 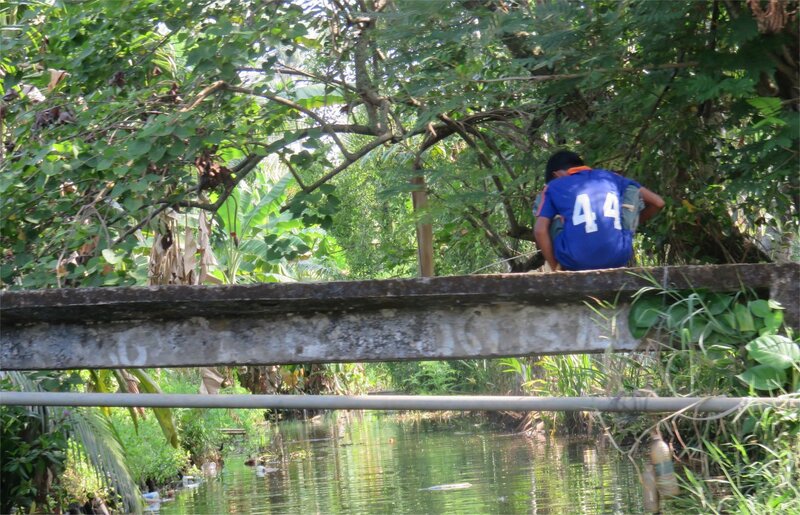 At some point in time the boats were used as living quarters by the royalty.